The former railway trackbed from Ilfracombe to Willingcott now forms part of the National Cycle Network’s Coast-to-Coast Route 27. We have obtained permission from Pall Europe to restore the former pedestrian approach to Ilfracombe Station (see artist’s impression) and to install a replica of the original station sign. This will also provide a fitting northern gateway to Cycle Route 27. We will restore surviving railway infrastructure along the Route, including the down distant signal at Slade reservoirs, platelayers’ huts and gradient posts. We are seeking permission to install a 30′ track panel alongside the cycle path on Ilfracombe Bank to demonstrate the notorious 1-in-36 gradient. We will supplement the existing interpretation boards with a series of Video Posts. 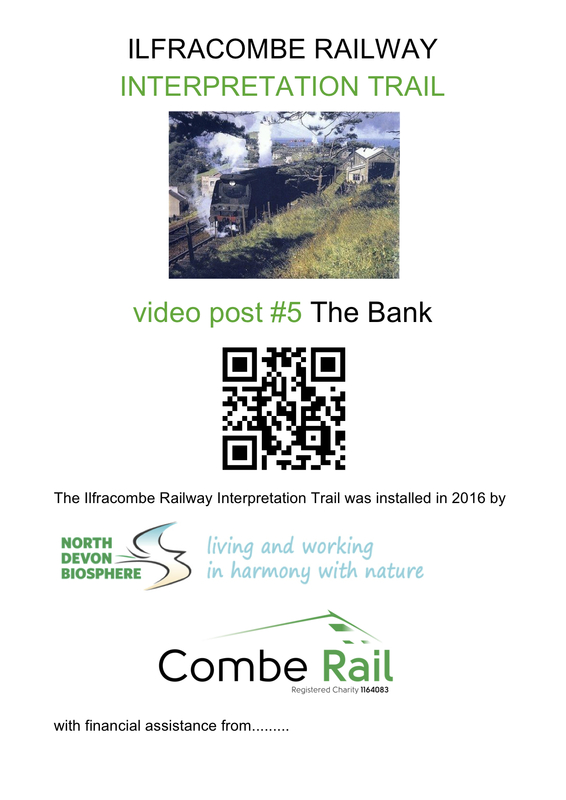 These will feature a QR code, enabling Trail users with mobile devices to view a video slideshow of classic railway photographs taken at the same location in years gone by. The Railway Heritage Trail will enhance Route 27 for all users, young and old.